In today's modern market, there is a lot to do, and not a lot of time to get it done in. We also have to make a lot of tough decisions, each with its own set of Pros and Cons. Do we opt for the coffeeshop stop on the way to work, or wake up early to brew at home? Do I opt for the transfer, or do I stay where I'm comfortable and secure? Should we both work, or will one of us stay home with the kids, and - if the latter - who will do what? Some decisions aren't so tough, but the answers aren't in plain sight. Everyone could use some extra money, help with one project or another, or an extra set of eyes and hands to help them out, but where do you go to find that? Is it even doable? Who do we call, or who do we write to? The internet, aka "The Information Superhighway" granted us the ability to teach out to a vast number of people with a few clicks, and reach even farther for help than we ever could before. Just as Social Media has evolved into such networks as Facebook, Instagram and Twitter, the business market has evolved too. Have a special project you're working on, but you have some aspects of the project you can't do, or are limited on time? You can outsource! 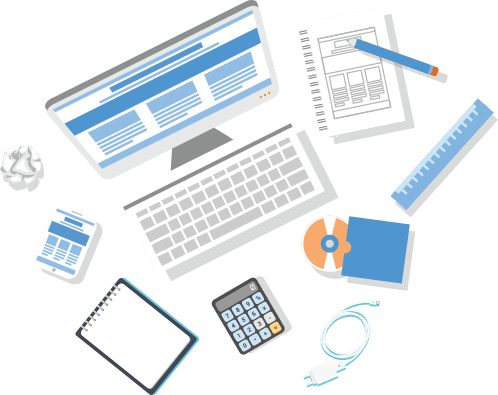 Having a good and highly functional website can save you loads on time and money. It gives you the ability to work smart, as opposed to constantly having to work hard instead. You can take comfort in tackling more hefty projects, but not be so bogged down by them and their management, that you begin to wonder if you really have forgotten what the faces of your friends look like. It can't be stressed enough, that making use of the Information Age, and all of the great advances in technology it brought with us, can be the explosive kick-start to boosting sales, expanding your clientele, and giving your business the exposure it deserves!